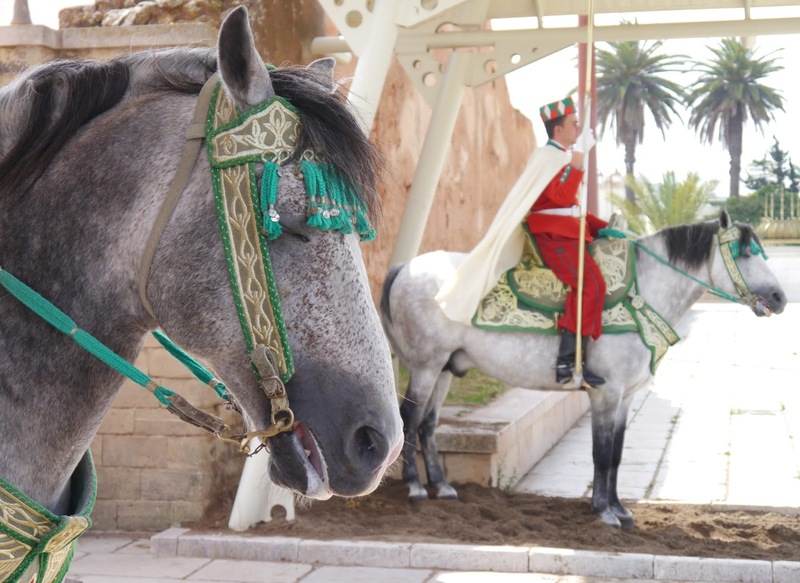 Yes, Marrakesh is incredibly popular, but there's so much more to discover in Morocco. 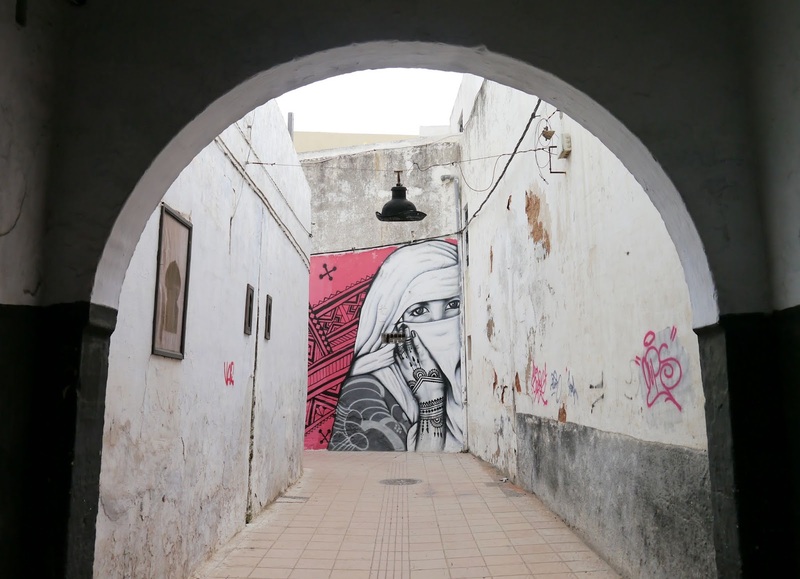 I wanted to experience more traditional, unspoilt Moroccan city during my second visit to this wonderful country. 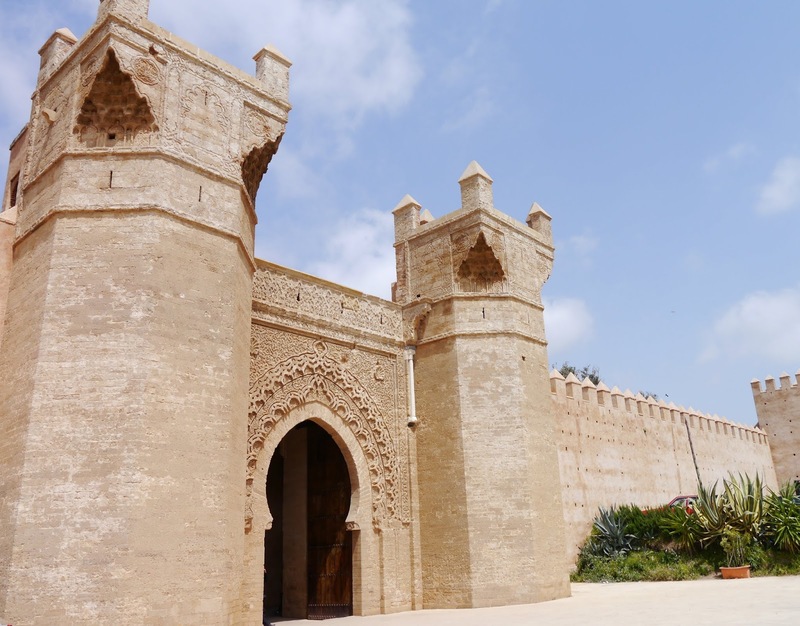 Rabat is lesser-known but culturally rich and the capital city of Morocco. 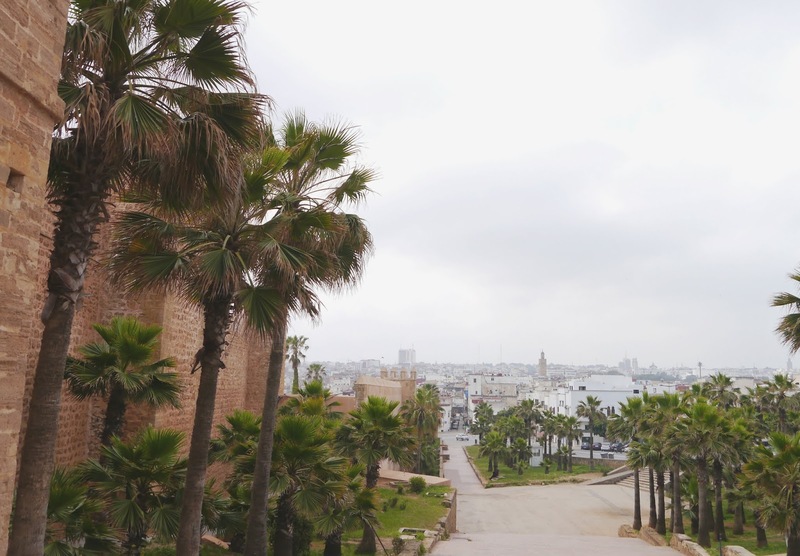 Small and cute, ‘walkable’, Rabat is enchanting with its seaside location and a 12th-century kasbah perched over the bay. 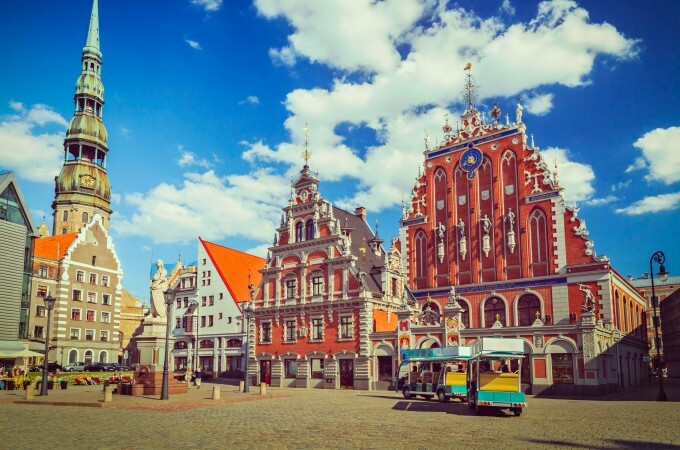 This centuries-old city overlooking the Atlantic Ocean has a lot to offer for culture lovers and outdoorsy types. Perched on a cliff, it is the oldest part of the city. Below the cliff is where the Bou Regreg River and Atlantic Ocean meet. 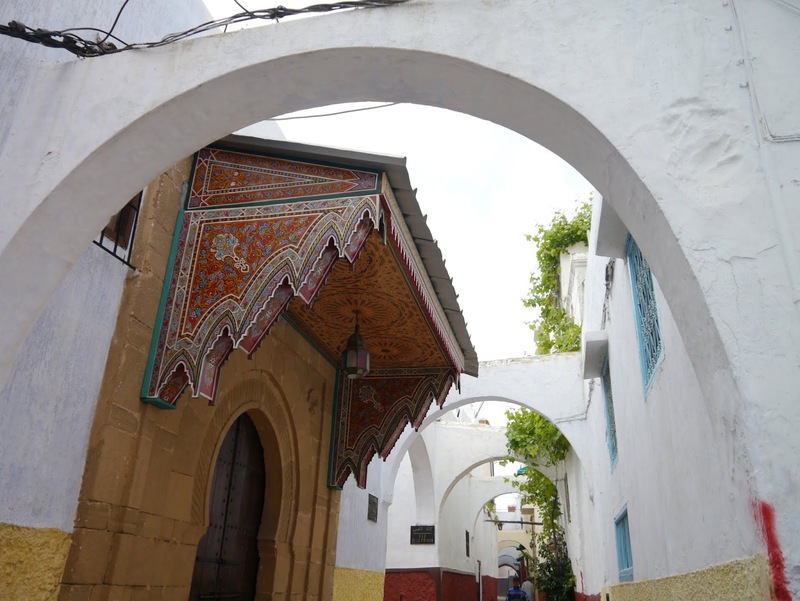 Built in 12th century, Kasbah des Oudaias is picturesque place with narrow streets lined with whitewashed houses and striking blue parapets where over 3,000 families live, art shops and even the oldest mosque in Rabat dating back to 10th century! 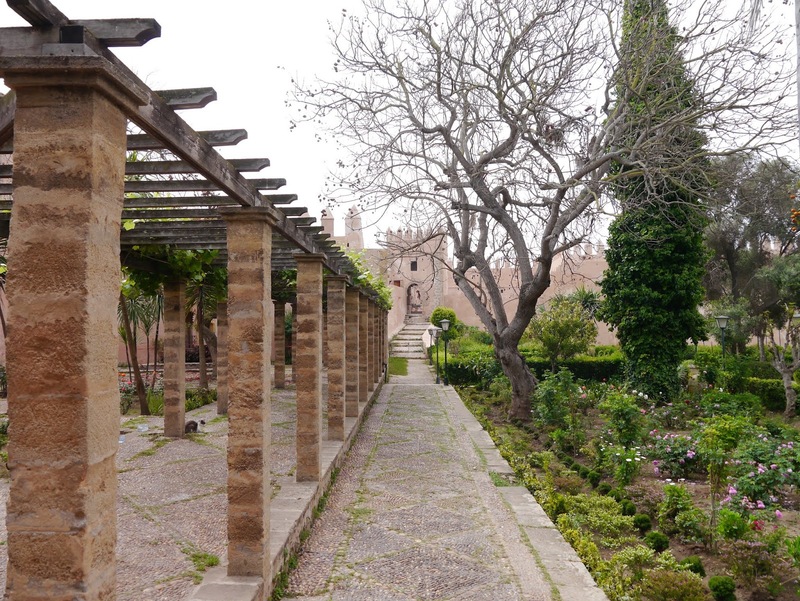 The pretty Andalusian Gardens with orange, lemon and banana trees are definitely worth a visit, great place away from the crowds. Do stop in Cafe Maure on the way out and sip on fresh mint tea while admiring incredible views of the bay and the neighbouring city of Sale. 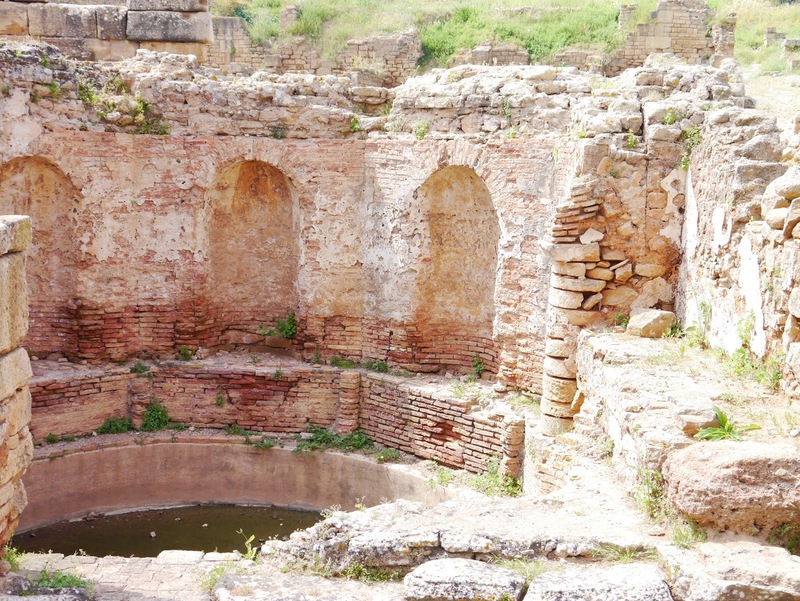 The Chellah is a walled ruin of a town that lies in a short walk from Rabat’s Medina. 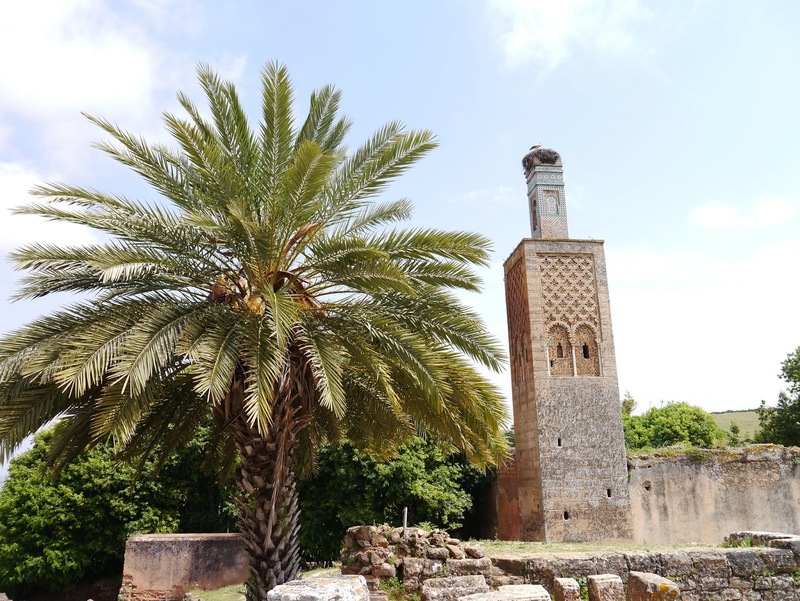 It houses both Roman and a medieval Muslim ruins, marble columns and statues, with a stone-and-tile minaret, the only remains of a mosque, now topped by a stork’s nest. Behind it are few tombs and the Bassin aux Anguilles, a pool that attracts women who believe that feeding boiled eggs to its resident eels brings fertility and easy childbirth. 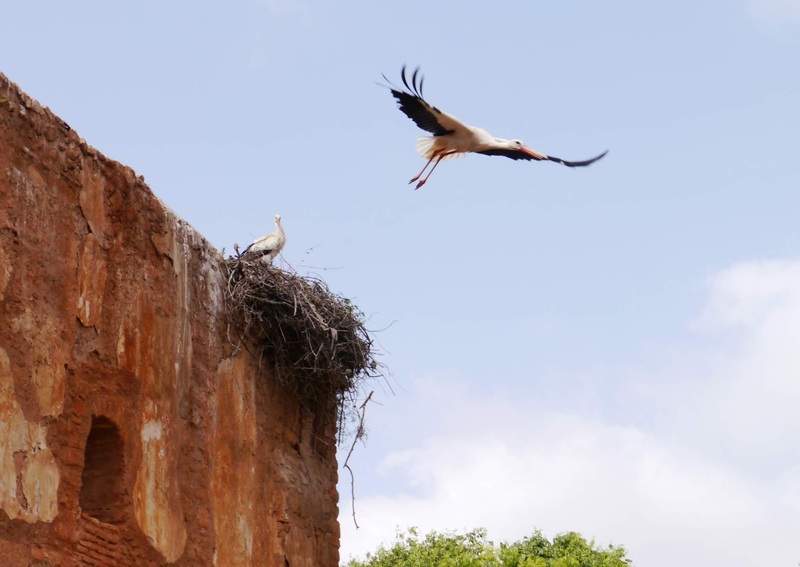 There are tons of stork nests around Chellah. 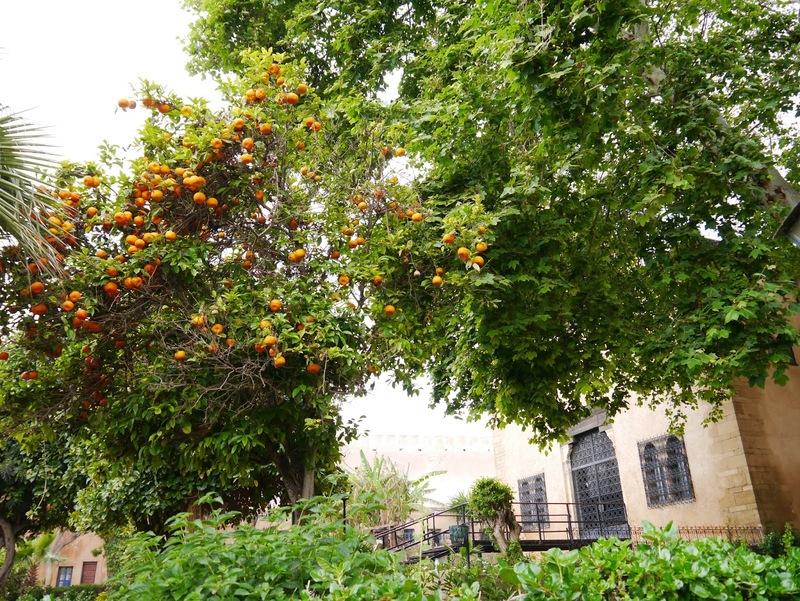 It is yet another great spot to escape the buzz of Rabat, walk around the ruins and listen to the clacking storks. 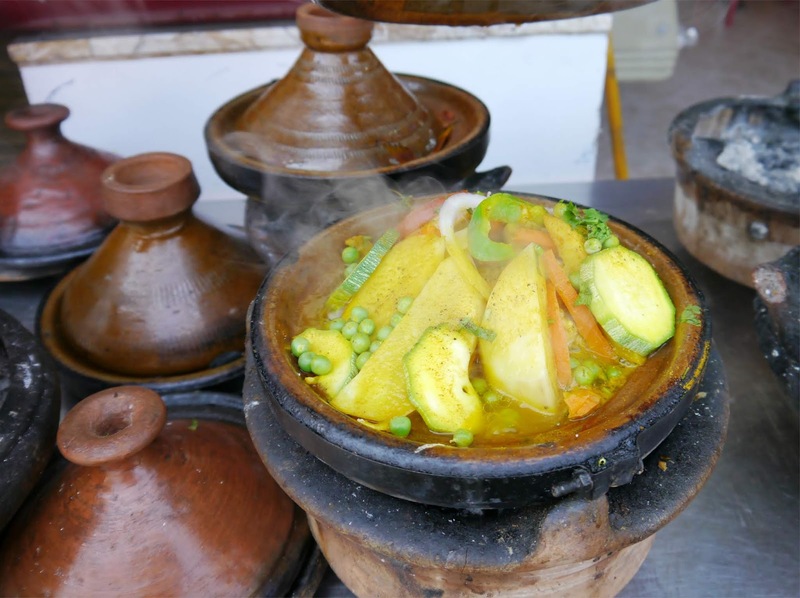 It is the best place to get traditional Moroccan souvenirs and fresh produce, and really experience the heart of the city as locals do. 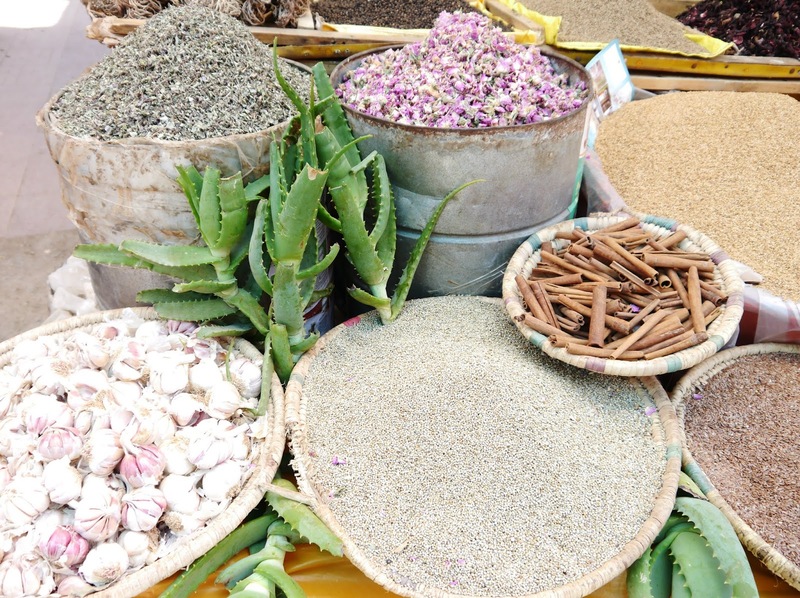 Haggle for the best price and take in the sights, sounds and scents. 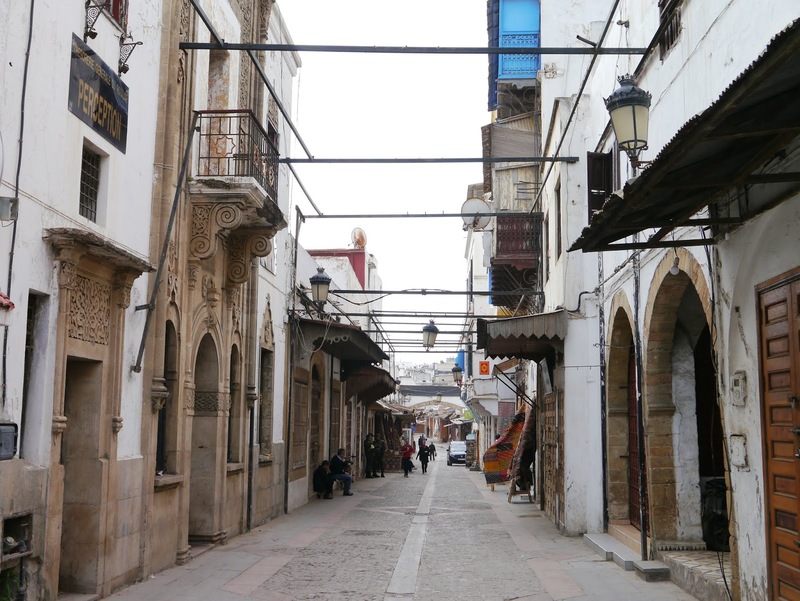 Unlike Marrakesh, which has a winding labyrinth of alleys, the Medina in Rabat is smaller, calmer and easy to navigate. 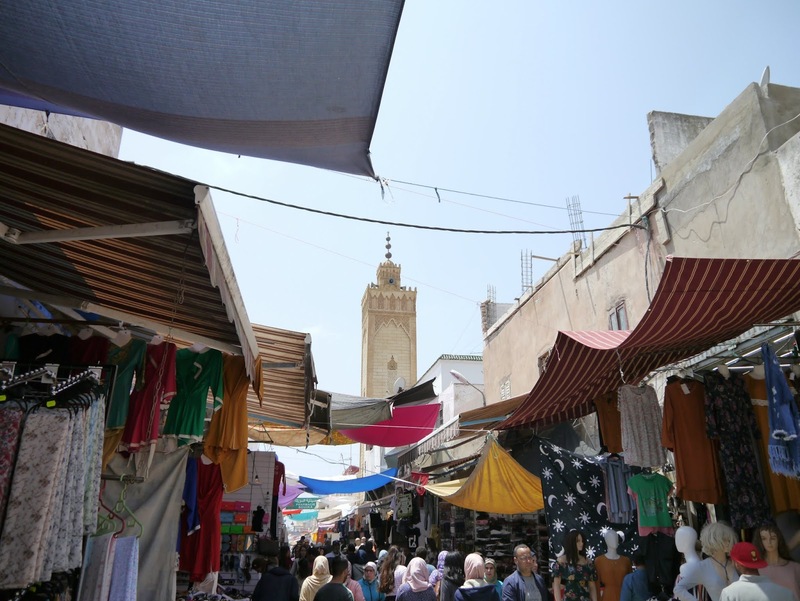 In Marrakesh, the souks are certainly not for the faint-hearted: full of hustlers, mule-drivers and motor scooters. Hot, tiring, overwhelming yet very fascinating. All the smells, sights and sounds will overwhelm you. 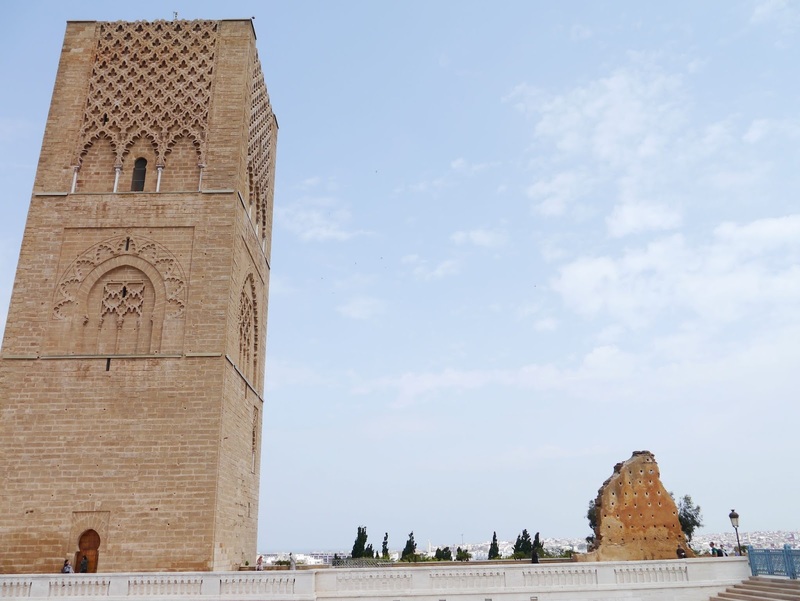 It has been the symbol of Rabat for centuries. The tower was meant to have the world's largest minaret, but was never completed. 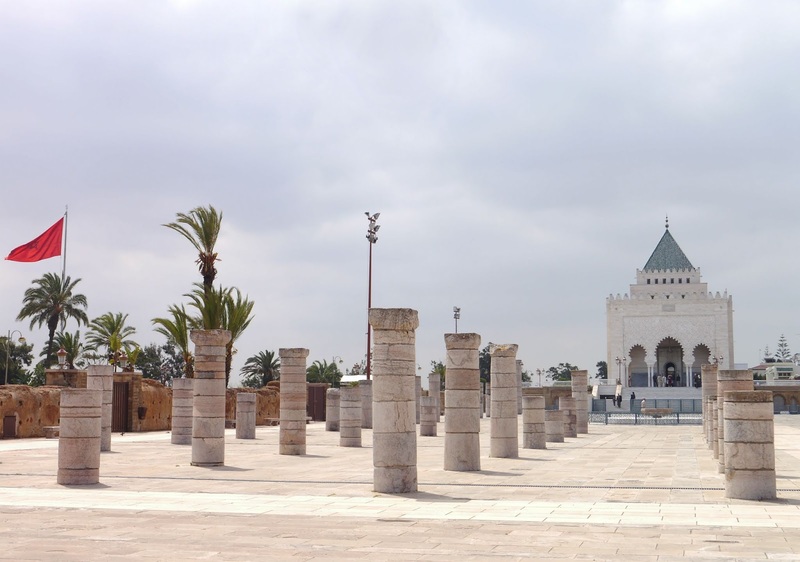 Just opposite the tower lies the 20th-century Mausoleum of Mohammed V, another of the city's main attractions. The exterior is impressive with gleaming white marble and deep green roof tiles. 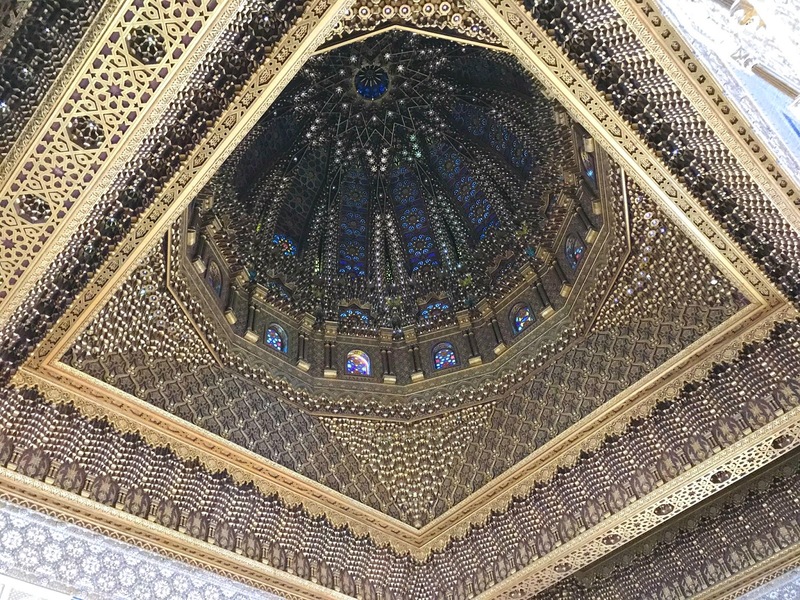 Magnificent building where the tombs of King Mohammed V and his two sons are, decorated with beautiful tiles and carved cedar ceiling covered in gold. The Imam quietly chants verses of the Koran on the floor below as people overlook the tombs. Such a holy place that foreigners are privileged to enter. Greatly underrated, it is simply breath-taking. 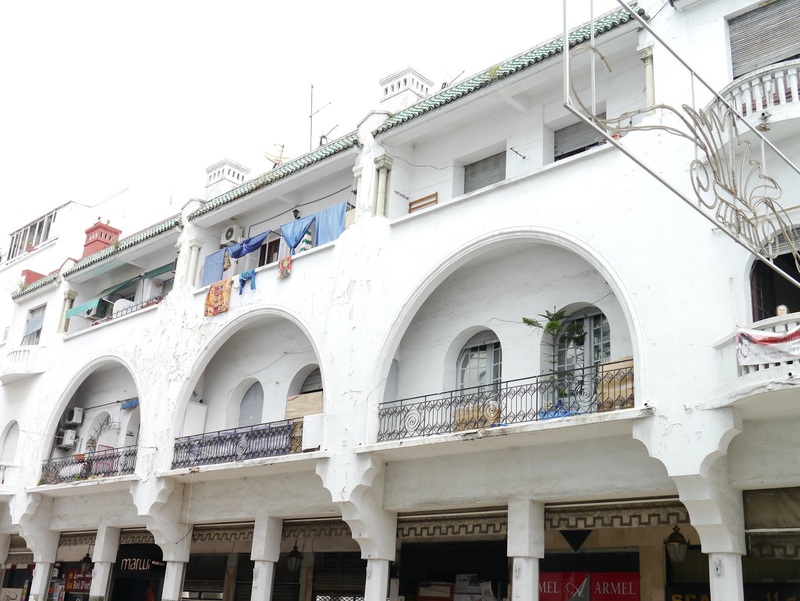 It was built under the French influence and hosts a wealth of French colonial architecture. 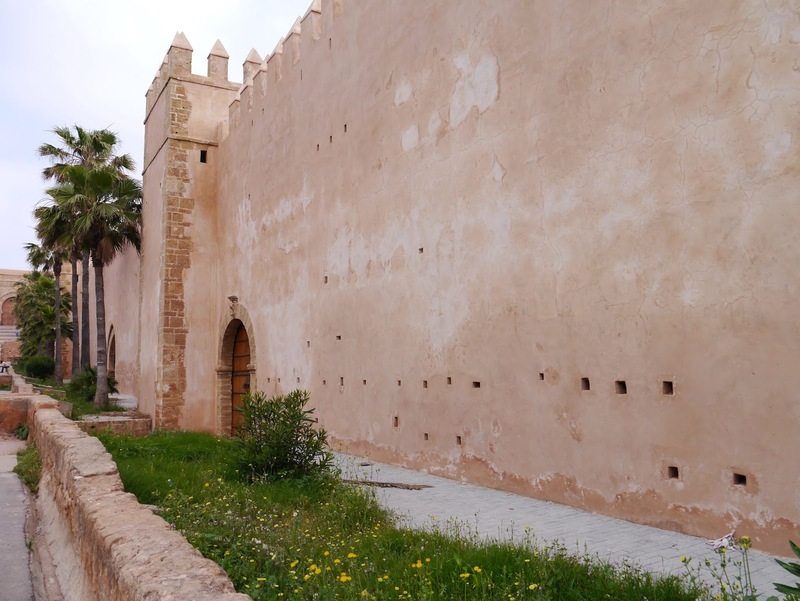 To the south of the Ville Nouvelle is Rabat's Royal Palace, current residence of the king. 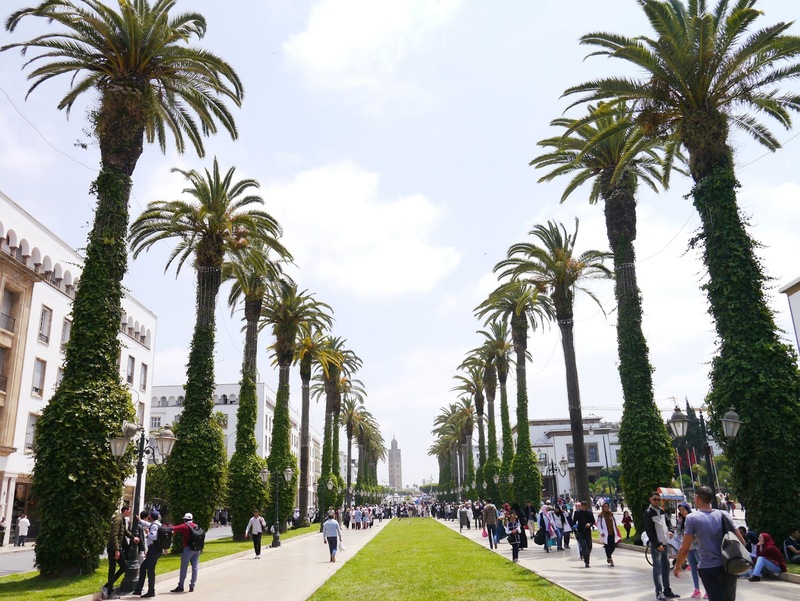 The palm-lined boulevard is well kept and a great place for a stroll. 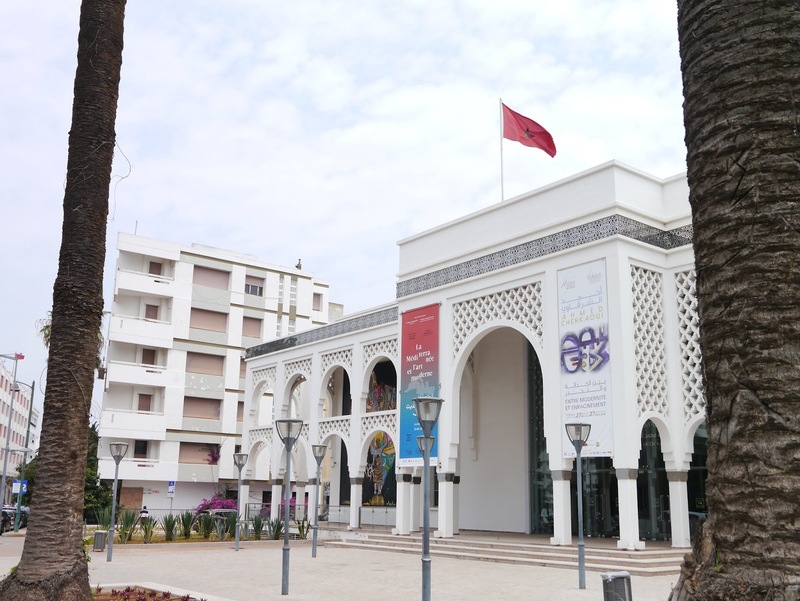 The first contemporary art museum in Morocco filled with modern and contemporary Moroccan and international art. Striking building inside and out, a must-visit if you like modern art. Luxury: The Sofitel Rabat Jardin des Roses resides over acres of palm-studded gardens and has one of the best spa's in Rabat. Go for the ultimate body scrub, hammam, that will leave you relaxed and squeaky clean. Mid-range: Dar El Kebira located right in the heart of the Medina, where I stayed. 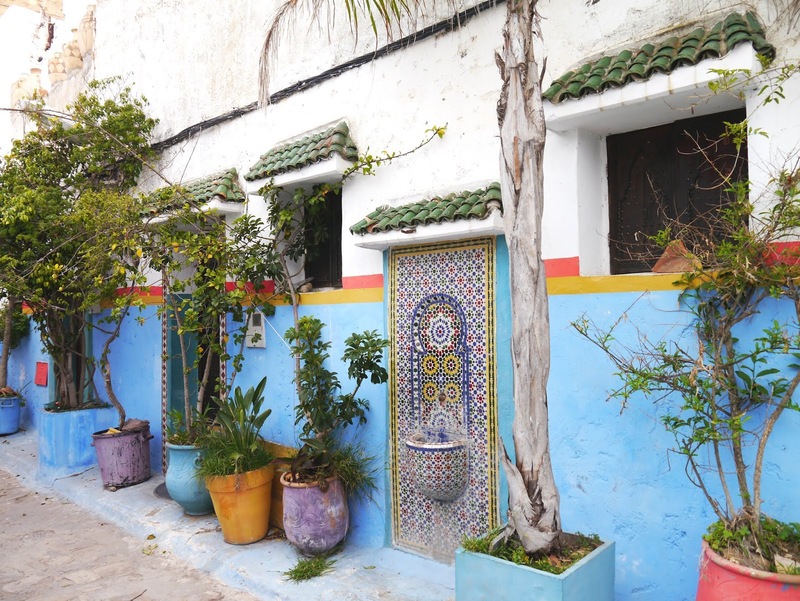 Very charming and traditional Moroccan house built around a central courtyard with windows facing inwards, and a wonderful roof terrace offering panoramic views of the city. 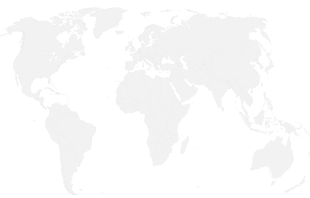 Direct flight from the UK by EasyJet, Moroccan Air and Ryanair. Trains are cheap and comfortable way to travel in Morocco. I travelled from Rabat to Tangier which took just 4 hours and cost approximately 12 euros. It is definitely worth paying 2 euros extra for a first class reserved seat in air con carriage. You can buy snacks and drinks on board. Camel riding? You should! 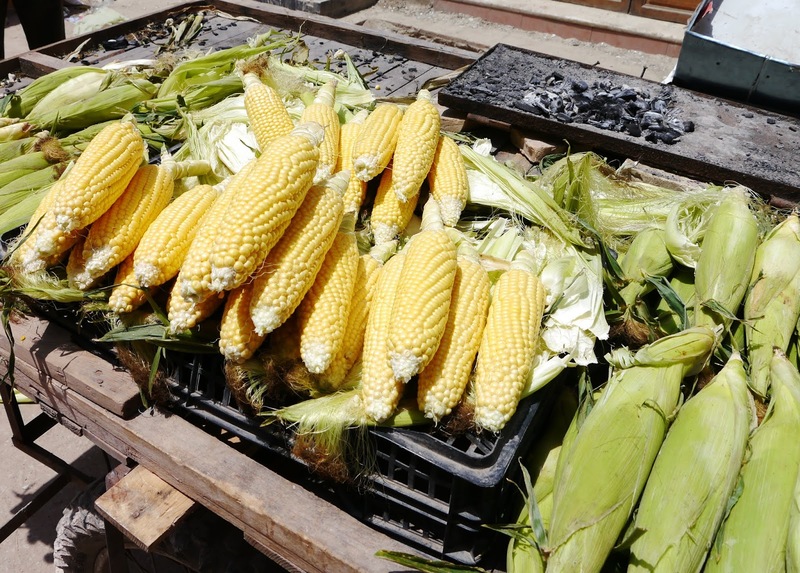 Read about my experience during my visit to Marrakesh here. Golf, quad biking, windsurfing, surfing, plenty of activities for the outdoorsy types. Check out Dunes and Dessert as they offer a wide choice of amazing adventure activities and tailor-made trips. People are very friendly. Moroccans are well known for being extremely friendly and open-minded people. Morocco is a safe country. Traveling alone is also safe. Solo female traveller, I had zero issues. Not one. If you respect the locals, they will respect you. You’ll see Moroccan women dressed traditionally, but you'll also see them wearing the latest western styles. To avoid stares, stay away from short dresses and skimpy clothes, and cover your arms. Bargaining. 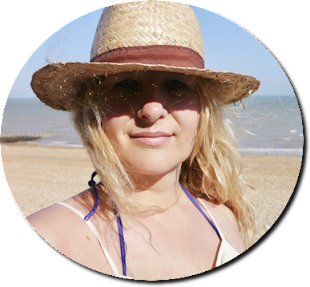 You’re expected to play your part so be savvy and act like a local. It is not considered rude. 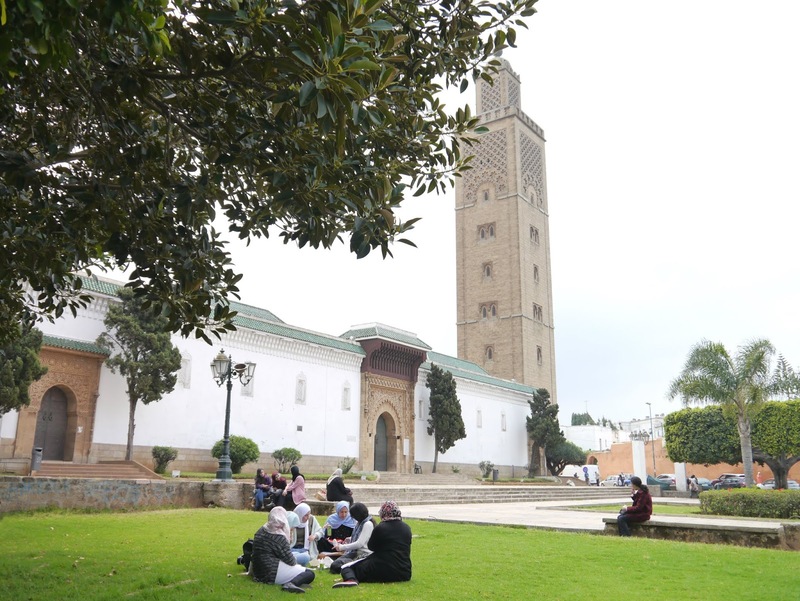 A visit to Rabat will be a pleasant surprise and a welcome break from the hustle of other Moroccan cities. 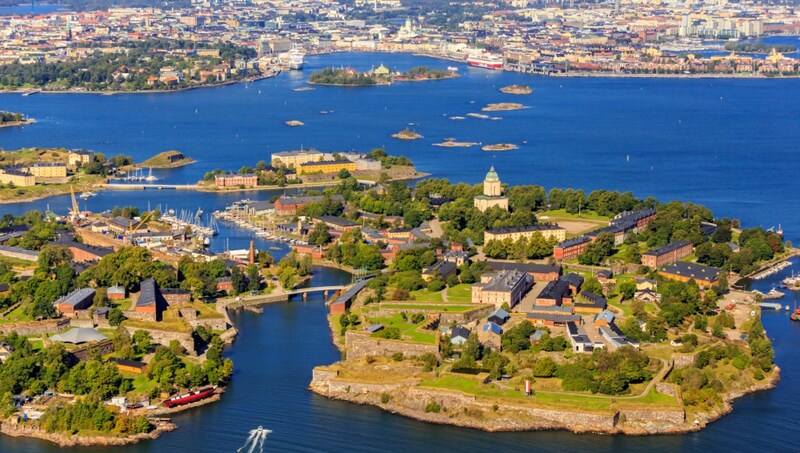 You will find the city’s uniqueness amazing, discover some of the most beautiful hidden treasures and meet the nicest people.